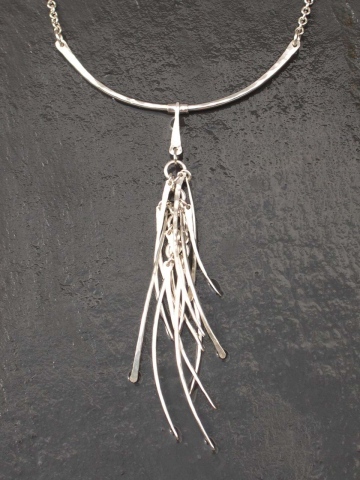 3.5" long, chain is adjustable from 14"-17"
Hand forged necklace of Sterling Silver. Neckwire meets chain to finish off necklace with an adjustable toggle clasp. Necklace length varies from 14" to 17" long.